I'm catching up on a few more picture book reviews today. These are books I have read before, but which I chose to re-read for the Picture Book Reading Challenge. 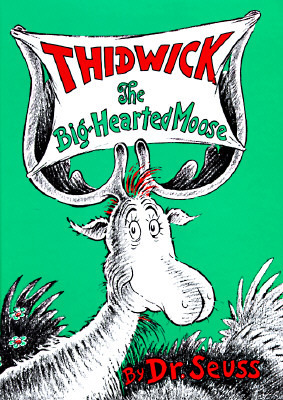 Represented here are my choices for #10 a rhyming book (I Can't said the Ant), #42. a book celebrating food (The Hungry Thing), #46 a book published in the 1970s (Something Queer is Going On), #52 a book by Dr. Seuss (Thidwick the Big-Hearted Moose), and #66 a book from your childhood (Ivy Cottage). 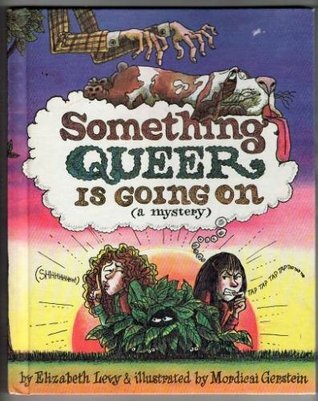 I had a paperback copy of this book as a kid, but haven't known where it is in a long time. When I stumbled upon another copy, also paperback, at a used book sale, I snatched it up. When I read it aloud, Miss Muffet giggled at the rhyme throughout the entire story, and seemed to take joy in the sound of the words in the same way I did as a child. I have to admit that aside from the gimmick of rhyming words, this book - which is basically about sentient kitchen appliances banding together to rescue a cracked teapot - really doesn't have much to it. Still, it was fun to share a childhood favorite with my own daughter. 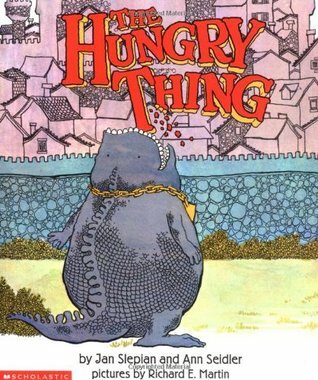 My childhood copy of this book, about a mysterious monster who demands to be fed strange things like "Shmancakes" and "Tickles," has been sitting on a shelf near the dining room table for months. 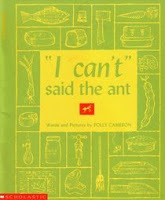 Since Miss Muffet is so into word play right now, I read it to her after dinner one night. Besides thinking it went on a little long and relied a little too heavily on just one joke, I thought the book held up pretty well to my adult sensibilities. Miss Muffet didn't necessarily understand the whole story, but she was able to guess each food the Hungry Thing was requesting based on the rhymes. 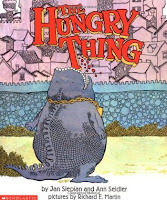 I loved this picture book mystery series as a kid, more for the pictures than anything else. This is the first book of the series and it wasn't as exciting as I remembered. Even the pictures, which are labeled like diagrams, didn't seem as detailed as I expected based on my memories. (I think the books I liked best may have come later in the series.) 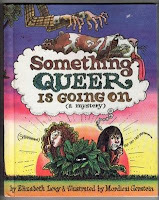 In any case, I think this book is best-suited to independent readers, and I haven't tried reading it or any of the other titles we own from this series aloud to Miss Muffet. They are geared at elementary readers and would probably appeal to kids who like comics and books in graphic format. This is one of my favorite Dr Seuss books, and I recently read it aloud to Miss Muffet. Seuss is always harder for me to read aloud than I expect, but even so, Miss Muffet seemed to enjoy the story even if she doesn't fully grasp its meaning yet. I think this book is probably best appreciated by older kids, since little ones don't understand such concepts as taking advantage of someone's kindness or failing to defend oneself, but the language is appealing to any age, so I wouldn't hesitate to read it aloud to either of my girls again during the preschool years. I had this book and several others in the series as a kid. 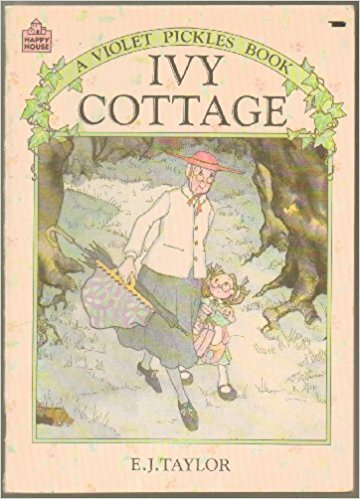 The main characters are Miss Biscuit, an elderly lady and Violet Pickles, a rag doll, who move together to Ivy Cottage. When Violet seems lonely, Miss Biscuit creates another doll, Ruby Buttons to be her friend. This was a book that was a million times better in my memory than in reality. Miss Muffet did listen attentively, but she didn't seem that into the story, and I'm not sure I will bother to read any of the others to her. Armchair Book Expo 2017: Introducing... Me!